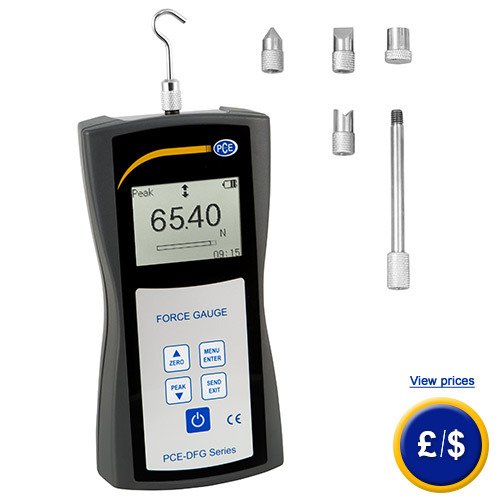 With the PCE-DFG 500 you have a Digital Force Gauge for traction and compressive force measurements up to 500 N. The PCE-DFG 500 is a Digital Force Gauge for precise measurements with a resolution of 0,05 N. The determined measurements are display on a large, lighted, at 180° rotatable Display. A in correct position reading is possible every time. In addition to the internal storage of 1000 measurements a USB-interface for data transfer is available. 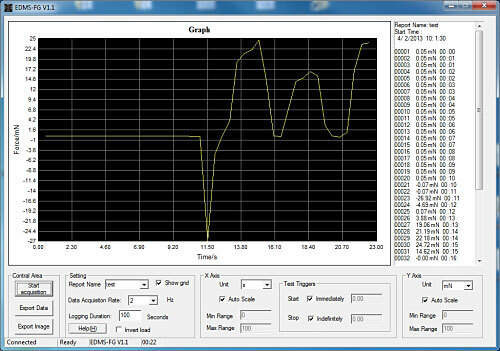 With the optional available software the measurements can be stored on a computer for later analysis. Via RS-232 interface the Digital Force Gauge can be connected with a mini printer to print the measurements directly on location. 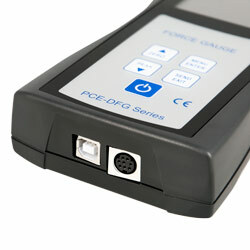 Because of his robust case, a meaningful menu navigation and his easy handling, the Digital Force Gauge PCE-DFG 500 is marked by a high user friendliness. 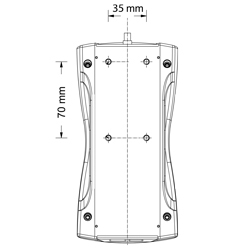 Across the internal calibration possibility a constant accurateness of the measurements is guaranteed. The electrical power supply is done by a rechargeable battery, which can be loaded up with the battery recharger and enables a long-term usage of 16 hours. With this characteristics the Digital Force Gauge is proper for quality check in the range of production, for control of goods receipt and issue as well as at the development of new prefabricated parts or for test of security relevant prefabricated parts. If there are any questions about this Digital Force Gauge, please have a look at the technical specification below or call: UK customers +44(0) 23 809 870 30 / US customers +1-410-387-7703. Our technicians and engineers will gladly advise you in all Digital Force Gauges and all products in the field of measuring instruments, regulation and control and scales. -10°C ... 40°C / 20% ... 80% r.h.
-20°C ... 50°C / 5% ... 90% r.h.
For companies that wish to incorporate the device into the internal quality control tools or for annual recalibrations. 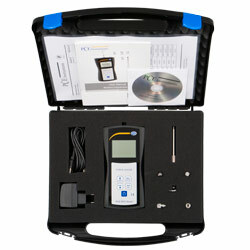 The ISO certificate includes a calibration and a document containing all the readings. As our test positions are designed to be used with different force gauge models, adapter plates are required to ensure that the force gauge is fixed to the test position. 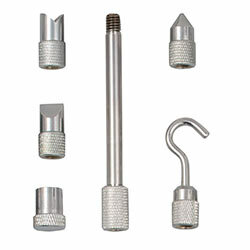 The force gauge can be combined with any of the three test positions we have available. Two test positions are equipped with a crank and the other has a motor. 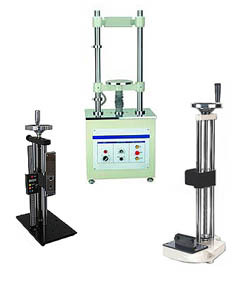 The effective use of the test position is in daily testing of materials in a laboratory to maintain the same conditions, eliminating the possibility of human error. Descriptions of test positions can be found within the corresponding on-line category: force gauges.